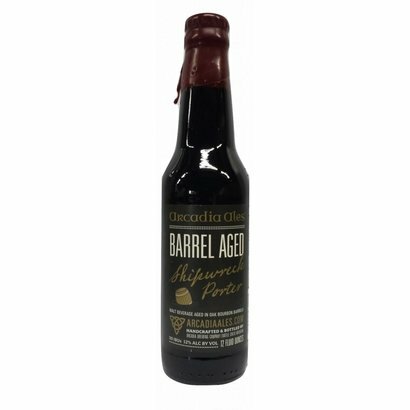 This Porter from Arcadia has aged for 12 months in 10-year-old Kentucky bourbon oak barrels. 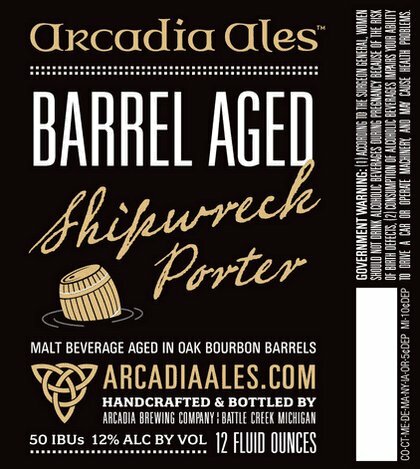 Bourbon Barrel Shipwreck Porter This Porter from Arcadia has aged for 12 months in 10-year-old Kentucky bourbon oak barrels. 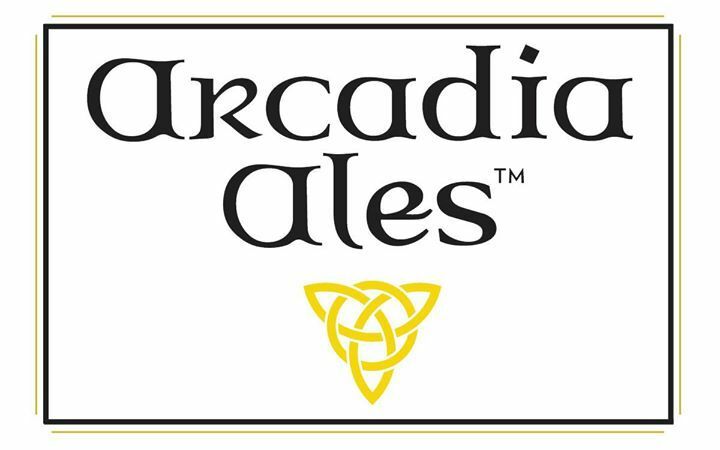 After opening the bottle, aromas of toffee, brown sugar and oak are released. The taste begins sweetly followed by bourbon and the warmth of alcohol with subtle flavors of chocolate, coffee and vanilla in the aftertaste.